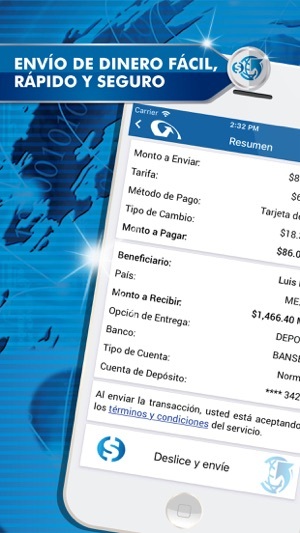 Sending money through the Barri Money Transfer app is fast and convenient. 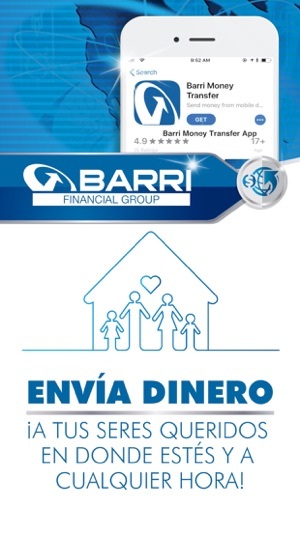 If you have previously sent money to your relatives from a Barri store or agent, you will save time by sending now using our Barri Money Transfer app. In just a few clicks, you will be able to send money to your family and friends. In addition, you can send money from wherever you are at the time of the day that better works for you. When you finish your transaction, you can always see the status and see when it is available for the recipient to pick it up. You always know where your money is. Also, if you sent money at a Barri store or agent, you can also see the status of your transactions and your history. 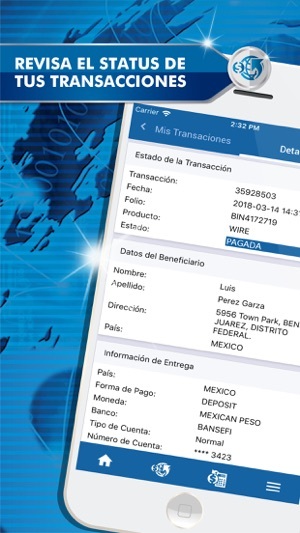 We have thousands of payer locations (cash and account deposit) in Mexico, Central, and South America for your family to receive their money at. The limits and fees may vary depending on the type of transaction, selected payer location, or method of payment (cash, deposit). Fees and exchange rates shown online, only apply to transactions done using the app or website. In addition to the service charges, Barri also makes money when it exchanges your US dollars to foreign currency. Bug fixes on user registration and top-ups transaction and performance improvements. Easy to use. Have never had any issues sending money with the APP. It saves your contacts and you can track the status of the wire. My family in Colombia also said it’s a lot better service than any other company they’ve received money through. Highly recommend it! 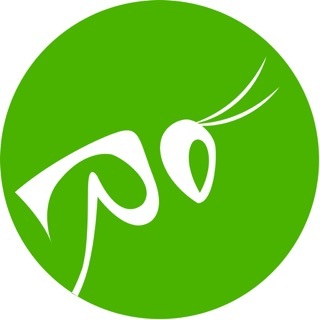 Very fast and reliable app provided by a company with more than 30 years experience in money transfers. Super! Deserve mas de 5 estrellas!